Age of Kings Heaven - The Blacksmith :: WoT Clay Pit. Downloads Home » Mod Packs » WoT Clay Pit. 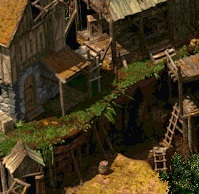 SLP-file based on the building "Clay Pit" from the "Tribal Wars 2" (from InnoGames). You can get the buildings from feudal wars as well.just launch the game and save as a web page.pretty much all the buildings gets extracted.